Saturday, July 9 (Granada Theatre): Young conductor Case Scaglione leads the Academy Festival Orchestra in Stravinsky’s 1919 suite from The Firebird, Wagner’s overture to Die Meistersinger von Nürnberg, and concertos by Bowen and Jolivet featuring winners of the Academy’s concerto competition. SoCal fans my remember Mr. Scaglione from his three-year stint as Music Director of the Young Musicians Foundation Debut Orchestra. Since then, he’s become the New York Philharmonic’s Associate Conductor and has had many auspicious appearances with other orchestras. Saturday, July 16 (Granada Theatre): Alan Gilbert, the NY Phil’s outgoing Music Director, conducts the Academy Orchestra in Beethoven’s Symphony No. 3 (“Eroica”), Berg’s Three Pieces for Orchestra, and “The Representation of Chaos” from Haydn’s The Creation. 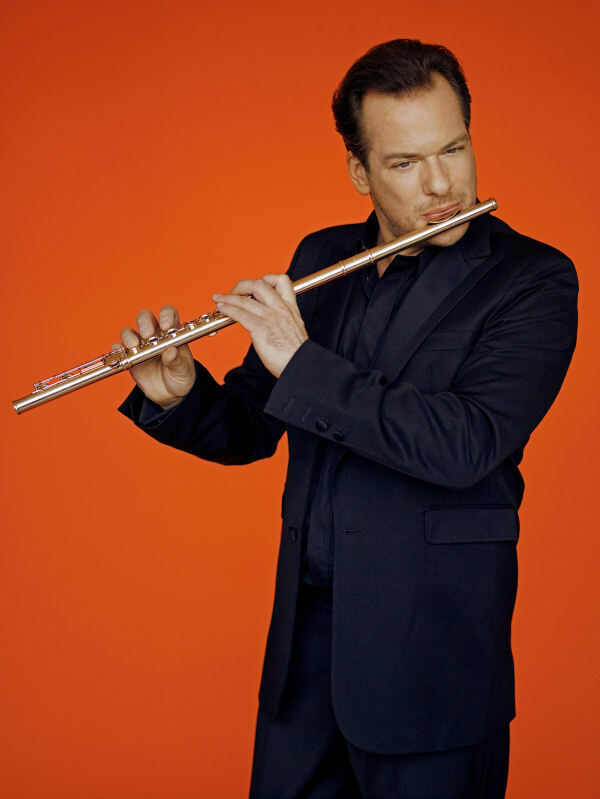 Wednesday, July 20 (Hahn Hall, 1070 Fairway): Emmanuel Pahud, Principal Flute of the Berlin Philharmonic, is easily one of the best in the world at his instrument — many would consider him to be THE best. It’s not often he does a solo recital in Southern California, particularly at a venue so intimate, so don’t miss this chance. He and accompanist Jonathan Feldman (piano) perform works by Reineke, J. S. Bach, Poulenc, C. P. E. Bach, and Martinů. Friday, July 29, and Sunday, July 31 (Granada Theatre): Smetena’s The Bartered Bride is this year’s opera being proffered by the Academy’s much-lauded vocal program, led by legendary mezzo-soprano Marilyn Horne. Matthew Aucoin conducts and David Paul directs. This unique three-concert series of new and/or neglected vocal works brought to you by Lauri D. Goldenhersh (publisher of the online singer’s collective, Lauri’s List) and Ariel Pisturino, Co-founding Curator, is back again. Their fourth season kicks off this Sunday, July 10, with a program of pieces by Darius Milhaud, Peter Yates, David Avshalomov, and Pàl Hermann. Featured soloists include David Wilson (tenor), Alexandra Grabarchuk (mezzo-soprano), Patrick McKellan (baritone), and Katherine Giaquinto (soprano). The other two concerts in the series will be on July 31 and August 21. All performances are at St. Mark’s Episcopal Church in Glendale, CA. Tickets are $15 in advance and $18 at the door. The Los Angeles Philharmonic’s summer home has been open for business for a couple of weeks already, but the orchestra itself doesn’t actually take up residence until this weekend when David Newman conducts them in Michael Giacchino’s score to J. J. Abram’s Star Trek Wednesday when Justin Freer conducts them in John Williams’ score to Harry Potter and the Sorcerer’s Stone, all while the movie itself is shown on the Bowl’s high-def big screens. Tuesday, July 12: Lang Lang, pianist in excelsis, brings his highly personal take on Tchaikovsky’s Piano Concerto No. 1 to bear on the curtain raiser to this summer’s classical season. 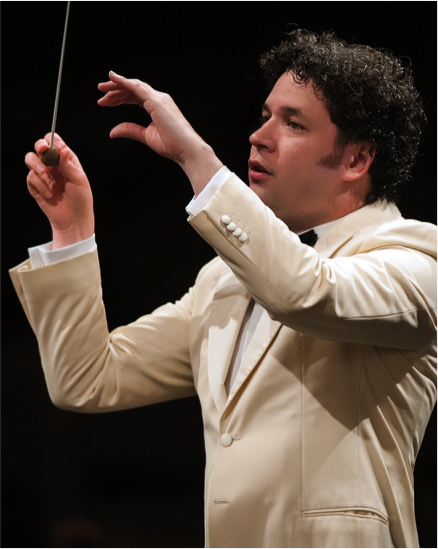 Music & Artistic Director Gustavo Dudamel doubles down on the Russian warhorses for the night with Rimsky-Korsakov’s Scheherazade. Thursday, July 14, and Tuesday, July 19: Mr. Dudamel conducts the orchestra, the Los Angeles Master Chorale, and vocal soloists in a concert version of West Side Story with music by Bernstein and lyrics by Sondheim. Thursday, July 21: Yuja Wang’s appearances at the Bowl have become legendary — usually for musical excellence, occasionally for extra-curricular things as well. This year, she joins the LA Phil and Mr. Dudamel for two jazz-inspired classics: the Ravel Piano Concerto in G and Gershwin’s Rhapsody in Blue (FWIW: let’s hope she’s loosened up a bit since her most recent local foray into Gershwin). A concert suite from Porgy and Bess opens the program and Ravel’s ubiquitous Bolero closes it. Sunday, July 24: Puccini’s Tosca is the one-off opera for this year’s Bowl Season. Local girl Juliana Di Giacomo sings the title role, tenor Russell Thomas is Cavaradossi, her ill-fated beau, and Falk Struckmann is the sinister Scarpia. Tuesday, July 26: Mirga Gražinytė-Tyla‘s star keeps rising since being appointed Music Director of the City of Birmingham Symphony Orchestra — the hype is real, she’s truly that good — which means the chances to see her conduct at the Hollywood Bowl or anywhere else locally are diminishing in equal proportion. Catch her while you still can, like at this concert featuring crowd-pleasers by Beethoven and Ravel. Pianist Jean-Yves Thibaudet, Frenchman turned Angeleno, and many others join in the fun. Thursday, July 28: Americana old and new . . . guest conductor Cristian Măcelaru conducts two works by Aaron Copland (Symphony No. 3 and An Outdoor Overture), and violinist Nicola Benedetti performs the West Coast premiere of Wynton Marsalis’s Violin Concerto. Saturday, July 23: Carl St.Clair leads a tuneful, if somewhat disjointed, concert headlined by Beethoven’s 9th Symphony and also featuring Copland’s Fanfare for the Common Man, Barber’s Adagio for Strings, and two works from John Williams. This summer is the orchestra’s last at Irvine Meadows Amphitheatre before its landlord, The Irvine Company, finally develops the land into housing, so if you have an affection for the place, this is the last July you’ll have to enjoy concerts here. 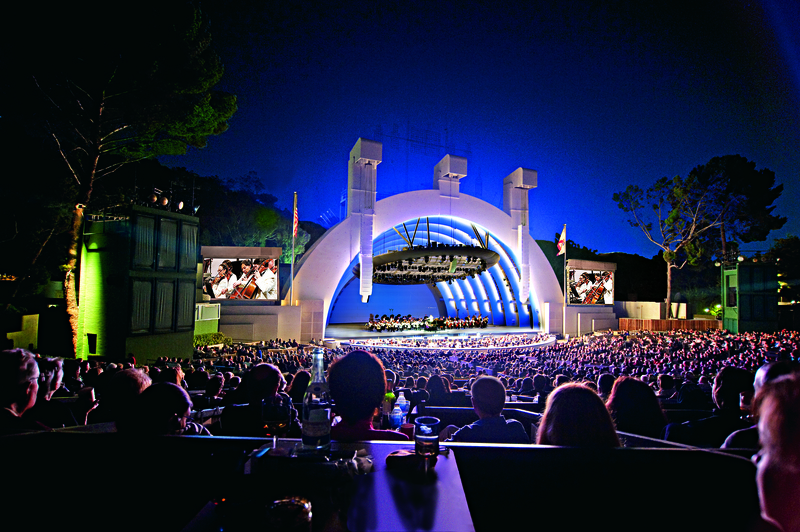 Tags: Emmanuel Pahud, Gustavo Dudamel, Hollywood Bowl, Music Academy of the West, unSUNg. Bookmark the permalink. And, don’t overlook iPALPITI FESTIVAL 2016! Thanks for the reminder, Jim! Actually, LA Phil musicians have been working at the Bowl since Tuesday morning and had their first performance already on Wednesday evening. Ah, thanks for pointing that out. I’ve made the appropriate correction.